This is a great habit to develop to start each and every day and to practice whenever you have the chance. The great thing is that smiling at others is easy and takes nothing but a little effort. Nearly everyone responds to a smile and it makes you and the other person feel better immediately. Simple things are a great way to serve others and these little things can really make a great difference. Stop and hold the door for someone whenever you get a chance and let someone go in front of you. This sends a strong message and you can really bump it up by combining this with #1, a great smile with the door offer. I mean when it comes to transportation or as a physical destination. There are always friends, colleagues and family needing a ride somewhere or a pickup from a trip, vacation or event. Perhaps it’s to be a designated driver for a group of friends. Simply offer to help get them there where they want to be. Buying lunch is not that expensive, as many people do it everyday and when you have an opportunity when you are getting or eating lunch with someone, simply buy their lunch as well as yours. Don’t offer, don’t tell them, just do it and don’t make a big deal about it. Don’t say they can get the next one, don’t say they’d do it for you, just buy them lunch and leave it at that. This one scares a lot of people and I will certainly include myself in that group. However, it’s a great way to serve others and is a lot safer than we tend to think or what we are often taught about strangers. It is also very safe if you think about where and when it is OK to pick up a hitch hiker and what people you want to pick up. Often you can offer someone (or a stranger a ride) when they are not trying to hitch hike and this is very safe. People have car trouble all the time. I’m sure you have at one point as well. Whether its changing a tire, jumping a battery or calling for an expert for a tow. Stopping to help someone can make a tremendous impact on someone who is struggling on the side of the road. This is especially true with accidents and is sad when people leave in a hurry when they should be stopping to help and offer a testimony to ensure people are not taken advantage of. Little things make a big difference and little things for a neighbor can turn an unknown neighbor into a great friend. Mowing a lawn or raking some leaves only takes a few minutes to do, a little more than your own yard. It looks better when lawns are mowed at the same time and while you shouldn’t expect it, often such favors will be returned. I’ve experienced this one many times. An easy way to develop relationships is to have a meal together and so inviting someone over for dinner is a great way to serve them and that relationship. I love giving people living on the street gift certificates. Gift cards for food or stores for basic needs like clothing you can buy pretty much anywhere and then instead of giving money to someone who you have no idea how they might spend it, you can give them something that they have to use for their basic needs. I’ve given grocery store $20 gift cards to peddlers and they are always just thrilled getting it and it makes it easier for me knowing they can’t just turn around the corner and spend it on drugs or alcohol (you can’t buy alcohol in grocery stores here in Canada). People often struggle achieving their goals and every one of us can use help in some way. Ask people about their goals and do what you can to help them achieve it. Perhaps you make a suggestion of where to start or some person to refer, a course or knowledge or some personal tutoring or action to help them with, whatever it is, helping people achieve their goals is a wonderful way to serve others. The more you think about your dreams and share them with others, the more likely they are to come true and for you to spend time on them. So, sharing your dreams with someone and them sharing theirs in return, helps make those dreams more likely and timely. If you live in a subzero climate with snow, shoveling the walks can be a regular event in the winter months. Take a few minutes and shovel the walks for your neighbors or a local bus stop, or public pathway. This is an easy one for bloggers as it’s a regular event. For non-bloggers however, writing is not always seen as a way to help people, but it’s incredibly helpful. Pick a subject you know well and write an article about it and share it with people you know. Take writing one step further and teach someone something you know in person. Take the time to help them learn it, to explain it and to have them learn from you. Teaching is a great way to serve others and we all have an opportunity to teach others in areas we already have learned. Conversations and communication can be difficult at times and in order to make it work and to serve others in communication is to truly listen and to listen intently. Others will feel values that you took the time to listen and they were actually paid full attention and that you cared enough to hear them out. Another angle of communication is in when you speak and when others speak. To give to others and serve them in your communication, let them speak first and present their ideas. Often the people who speak first are the ones credited with an idea (if you had the same idea to share as well) and it’s great to allow that credit and attention to be paid on someone else. It’s a wonderful way to serve someone else when you know they had the same idea as you, but instead of stating that, you can simply tell them, “That is a great idea!”. This likely came to mind when you first thought about serving others and it’s a classic example of course. There are many ways to do this through programs, organizations, clubs, groups, community associations and any other activities in your community. There are often websites and directories for connecting volunteers and placements that would be good for them. Do some searching around your community. It’s sad that this is such a scary thing for people image themselves doing but what better way to serve others than to provide the most basic of needs for someone who really needs it. There are many incredibly deserving and kind homeless people who simply can’t afford a home in our rich nations even though they have a job and family. Helping these people out and getting to know them a little and provide some assistance is a great way to serve others. 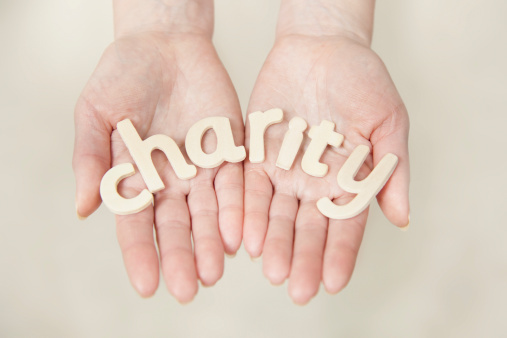 Pick the charity you like, or many and set aside some money to give to them. The best way to give is to set it up to be an automatic withdrawal so that the charity knows they can count on that monthly contribution and so that you make sure you do your giving before other spending. We all spend too much anyway. Our cities are for the most part, quite disgusting. There is garbage everywhere you go and it will never get cleaned up without people seeing the difference and by helping to pick it up. Do what you can and stop to pick up some garbage instead of walking over it for a change. I especially like to do this when I go out into the wilderness for a hike or ride. I always come home with more than I went out with since I make sure I take a moment to notice and to pick up someone’s garbage left behind. Everyone needs help to achieve their dreams and goals in life and mentor ship is an excellent way of providing that needed help, encouragement and guidance required. Look for opportunities to mentor people and provide that benefit to someone else as a way to serve. I said it above and I’ll say it again. We all have too much stuff. Do a favor for people in need and give away some of the things you no longer need or use or wear. Others would be happy to have it and it will help you simplify your life and enjoy your time more. Find a few locations that you can drop off your stuff or call an organization that collects your goods to redistribute to those in need. If you have explored LearnThis much, you know that I love books. Well do someone a service and buy them a book to enjoy as well. Don’t buy them a book though that YOU would enjoy, buy them a book that THEY will enjoy. Put some sincerity into your apologies and be genuine when you do make a mistake. Own up to it and make the appropriate apology in person and in a serious tone. No matter where you work and if you work with people, people love food. Bringing in some baked goods or snacks is always appreciated. You can do this with your colleagues or clients, just try to ensure the food is something most can enjoy and its best to find something that is not just sugar or unhealthy. 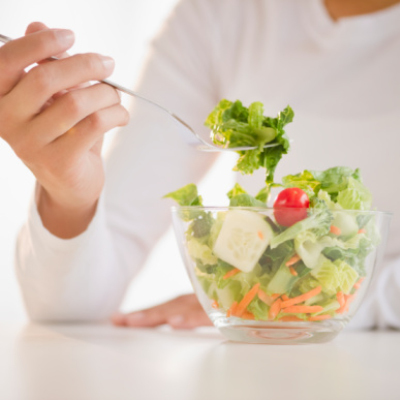 There are many great foods to share that are healthy as well and people do enjoy. Serving others has to be about them. Compliments are a great way for you to focus something positive on them and brighten their day. Find something you can be genuine about and give them the compliment with smile and positive approach. Charities and non-profit organizations struggle to get people to commit to planning an event or attending a volunteer effort. You can help out the organization AND the people it is serving if you help to run the charity or a charity event. Sports involve a lot of different personalities and sometimes emotions. Playing very sportsmanlike and keeping your cool even when others do not, serves everyone playing as an example and often the source of calm for the rest of a team. Do your best to stay calm, play with sportsmanlike conduct and encourage fair and fun play over competition and winning. I just mentioned this for sports above but its possible in all areas of life. You have endless opportunities to encourage people to do what they love, follow their dreams, achieve their goals and do the things they enjoy doing. Encourage positive behavior and fun actions through you day, you will enjoy it more, help others recognize those same things and hopefully, keep more of those actions coming as a result in the future. Not many people read all the books they have, let alone read them more than once. If you have books you know you will not read away keep them in mind and anyone interested in that subject, simply give them that book. I absolutely receiving free books from others and always enjoy reading them as I know there is someone to have a conversation then with about that book. Friendship is often thought to be something that is earned. Well serving others you not looking for what others earn, you are simply serving others. Extend the offer of friendship to someone who doesn’t seem like they deserve it. Perhaps they have made some bad choices in life, hurt you in the past or stuck in a difficult set of habits to break. The best thing for them is a true friend and it’s a great way to serve if you can provide that. There is constantly aid work going on around the world and traveling missionaries or support works in developing nations and disaster zones and they need support. You can support them with funds, letters, time, gifts or any combination of those. Spread the word as well and help these organizations grow, they are themselves doing a great service that deserves more support. Creativity sparks new ideas in others and ideas trigger change, growth and hope. Sharing your creativity with others serves these same results and is a great way to connect with people as well. We all have our own ideas but how often do you reinforce and encourage someone else’s idea. Just one more way to serve and build others up. It’s funny how we don’t know how to classify as a friend or not. Everyone has a different definition of this, but we all like to hear that someone is our friend when we do finally hear it. Make it obvious if you are around someone new or you just don’t really know if they consider you a friend or not, to specifically say it. Fit it into a sentence or an introduction or just a comment, like it’s great to do stuff like this with friends, too. Friends make connecting with other people much easier and if you ensure you always introduce your friends to other people you know, it builds new connections and make more people feel welcome in a conversation. It’s never fun to be the third wheel not knowing someone in the group so make sure you always introduce people to each other. On the theme of meeting people and introducing people, often you can serve others by simply approaching them and introducing yourself. It only takes a minute and can make a new person or someone who is uncomfortable or out of place to feel a lot better. Invite them over into a group you are with, or just spend a few minutes to ask them questions and help them feel more comfortable. Arguments are a sure way to cause problems and staying calm may not be the easier thing to do (especially if you are under attack), but it is the best way to serve others both in the argument and seeing it indirectly. If you can stay calm and not make the situation any worse, then you do everyone a service including yourself from not reacting negatively. We often put higher expectations and judgments on those we love instead of accepting thing for who they are and their decisions. There is nothing wrong with hoping for them to change or break away from destructive habits or decisions but there is a point at which you simply must support them as well if they make decisions or choices that you don’t agree with. Isn’t that the best way to show you love them anyway? People learn from the success of others and so sharing both your successes and the successes of others with more people is an easy way for everyone to learn from those experiences. Appreciative inquiry has so many benefits it’s a wonderful way to help people feel included, listened to, engaged with and ultimately it’s a way to bring the best out of people and what they are involved in doing. I strongly believe in this one as it has such a focus on others and bringing out the best in people it is really an exceptional way to serve others. Head on through the drive through or even at a till in person and tell the cashier you would like to pay for that other person’s purchase as well. You will quite likely surprise the cashier and the other person with such a simple act of kindness. Public transport is often quite crowded and its sad how selfish people seem to be when onboard. Look for a chance to offer your seat or a helping hand to someone traveling with extra bags, children or perhaps a disability. This is obvious one for me and I’m sure many of my readers here as well. Blogging really is about serving others once you start writing for what your readers want, and not what you want yourself. The best blogs exist because of the authors wanting to provide value and great content. There is much to learn from blogging and the best part by far, is the way it serves others and connects you with people. Do-it-yourself (DIY) has many benefits and when you can offer to help a friend take on a project you are doing a great service for them. Your help, support and perhaps expertise will bring you together to accomplish something and enjoy it when its done. It’s easy to be critical at times, especially if we think we have our own better idea. Do a service to others and don’t discount or be negative towards their ideas. Let them stand on their own and don’t immediately judge them. This is a huge pet peeve of mine and I’ll never do it to others. If you are in a conversation with someone, give them your full attention, face them and put your dang phone away. It sends a poor message to be playing with your phone or answering it in the middle of a conversation. You can’t serve someone when sending them a message that whoever might be calling is clearly more important. This is a whole list on its own for ways to do this but we do all have things we are passionate about and enjoy. Spread that passion and look to spark inspiration in others in sharing those. People rarely feel appreciated enough even though it is incredibly easy to do. Practice expressing what you appreciate about someone and do it aloud so they hear it and perhaps others will hear the same, share more or learn from you to do the same. Similar to appreciation to others, gratitude is usually expressed towards circumstances, gifts and talents and life in general. Some show gratitude to God, to others or to their environment. Be grateful for what you have, recognize the abundance you have to experience and share that gratitude with others. Spreading gratitude and recognizing it is definitely a way to serve others. There are many ways to demonstrate perseverance but I’m thinking more specifically in the ways you are already serving others. Taking items on this list and persevering to keep them happening, to keep on practicing, to keep on serving. Moral decisions are ones that are considered to be right. Moral decisions serve the general good and allow you to serve by making choices based on what is right and good. We all have a moral grounding as human beings and it’s how we are created and how we think at the deepest fundamental levels. Using that moral compass for our decisions serves others in these good decisions. Ethical living has some parallels with moral living but perhaps more from the human defined perspective, and not human nature. Ethics are largely defined by our cultures and society and so making that system stable and effective requires that we follow ethics and make decisions that take society into mind and use that in the way we live. It’s all about what is right for many, a great way to serve others. Mistakes are a wonderful way to learn and something that can easily be taught to others if shared. Examine your mistakes and do more than learn from them yourself, share them with others. You can gain a lot of trust in sharing mistakes to help others learn from those actions before they make the same mistakes. You often have a chance to clap for someone or even cheer for them at conferences, events or sports activities. What about in meetings, daily work or even at home around the house? Take a moment to recognize others and serve them by showing your appreciation for a job well done, an accomplishment or for taking on a new adventure. Show them by clapping for them or cheering. Bring others into the habit and use it often. We do this in my workplace very often in meetings, after hearing good news or any accomplishment that is shared with a group. The cheers and clapping always bring on a smile and serves everyone involved. 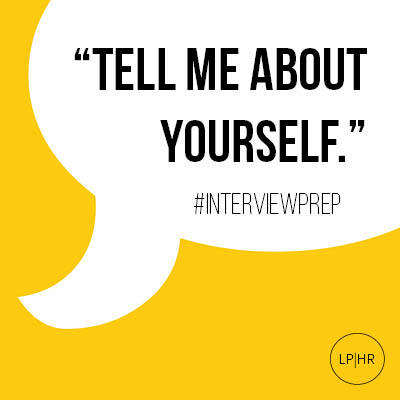 Tell me about yourself or introduce yourself are pretty common questions in interview and sometimes in business meetings with new clients or with new employees and colleagues. Use this chance to share your values and principles instead of just your usual background like where you work, your educational background or where you live. Tell someone what you value most, why and what principles you follow in all of your life. This has much more significance, surprises people so gets remembered and creates a faster stronger relationship than typical introductions. There are many ways to be humble, not just in exposing vulnerabilities. Giving credit to others, taking blame, talking about others not yourself, and avoiding the temptation to be right are all great ways to be humble. Humility is goes hand in hand with serving others from a character trait perspective and the focus on others is what allows humility to surface. Happiness is not something you seek, it’s not something you can find and its not something you can gain based on “if only…”, “when this…” and “as soon as this happens…” thinking. Happiness is something you must believe you can have and you then have to choose to be happy. You can be happy with hardship and suffering all around you and under terrible circumstances in your life if you truly believe you have that choice. For all those that need outside influences to be happy, you can provide that service and choose to be happy and to be an example of happiness for those around you regardless of the circumstances. How can you possibly serve others if you do not share or admit your faith and beliefs with them? Wouldn’t that be deceiving them, hiding things from them or even lying to them if you take it too far in fear of telling them? If you truly have faith and believe in it, you HAVE TO also believe in the value of sharing it. Yes, there are good times for this and perhaps some bad times, but you must be willing to admit your faith and belief systems. Good conversations depends a lot on questions and interaction between people. You can give control of a conversation and draw someone into being more expressive with you by asking open ended questions that allow them freedom to respond with more of their thoughts and not just a yes or no answer. We need to change through life or we become complacent and we die within our trapped lives. Change prevents that and allows people to grow and develop. Obviously personal development is connected deeply to change and if you see the value in it, serving others should involve being a change agent to help make changes happen in your life, those around you and your community for the better lives of all. Gossip can be disastrous to friendships, careers and other people’s lives. Learning to avoid gossip and guard against it both for yourself and for others is a valuable service to engage in. Purpose is difficult to understand if you don’t know your purpose yet. It becomes the driving force in your life and gives you the energy to do all that you do in place of all the distractions and selfish acts that tend to keep us from our ultimate purpose. I’ve learned that people who believe they know there purpose rarely claim a selfish one and its most often one that has a betterment for others at some level in it. I believe we all have this created in us and so living with purpose in some way involves serving others. I certainly know that’s in my purpose. Passions expose a positive attitude, joy and excitement from a person when they are expressed, or at least more so than normal topics. This excitement rubs off on others and in turn help to encourage them to be excited or to express their own passions as well. Asking questions shows interest in others and makes them feel more comfortable and connected in conversations. Use questions to serve others. Hand written cards and especially thank you cards are very impactful compared to verbal, email or other means. Write a personal note or thank you to those that do things for you. It’s a simple way to return a good feeling. I don’t mean to take the fall for things you did not do (as that seems dishonest), I’m meaning to own up and take the blame when you do make a mistake. Owning up to it instead of denying it, blaming others or fighting back in any way is the fastest way to resolve things and so a great way to serve others. It’s very easy to be get defensive and this is related to the blame game above. We use the technique of the victim cycle to make excuses in life. Keeping these excuses to ourselves at least keeps others from getting sucked into the blame game and helps to protect our habits from impacting others. Of course learning to eliminate excuses altogether is best but even the first step of keeping them to yourself helps to serve others. It’s actually quite sad to see how poorly most people apologize. Insincere and often still accusing of others disguised right within the apology. “I’m sorry you took it that way” is a LOT different than saying “I’m sorry I hurt you”. Keep your apologies sincere and always make sure you only include what you did that you are sorry for. A great way to serve others at work is to engage other employees and colleagues whenever possible. Look at ways to involve others, find things that excite your colleagues and show interest in people over the bottom line. Mastering feedback is a crucial skill for a manager but can apply to anyone when serving others. Feedback is a powerful tool to use to send a message of concern and care. If feedback is used properly, there is no good or bad feedback, it’s simply a way of showing concern, express a hope for developing the best in others and a great way to serve them. I love stories and I know many others do as well. It’s unfortunate so many people lose interest in stories as they age, I for one have not. Anything told as a story or that makes a story is of interest to me over other experiences and I know that stories have a way of drawing in others and developing relationships. Telling stories attracts people and is often used as a way to communicate an otherwise complex topic. While it is difficult to master, we do control our response to every situation in life. The choice is hard to always make the way we want to when thinking clearly yet with practice, we definitely serve others by getting better at controlling our response and being constructive and positive in otherwise difficult circumstances. Our response is typically due to some moment or short time frame. Our state of mind however, is really an extension of that response and applied over long periods of time. State of mind affects our emotions, our mood and our thoughts at a drastic level and so in order to be at our best and to be in a state of mind that is helpful to others, we need to have some control over that state of mind. 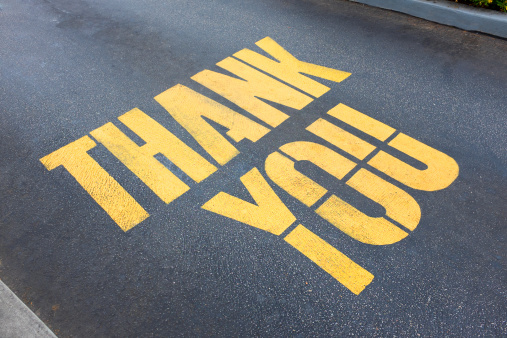 Why is “Thank you!” so hard to say? Compliments can be hard to come by sometimes and I believe its because we are so good at wrecking a good compliment with a poor response. Sometimes we argue back and say things like, “No I didn’t” or “Nah, you’re just saying that”. People have been taught that that is how to be humble but they are sadly mistaken. Responding in this way sends the message that they are wrong and so the compliment is rejected. It’s a terrible thing to do and subtly and unconsciously stops people from sharing compliments. There is one good response for a compliment, two simple words, “Thank You”. The good old Scout’s motto, “be prepared” is a great way to think when it comes to serving others. If you are not prepared, you will need to be dependent on others and if you need them, how can you serve them as easily? I’m not saying there are not exceptions to this, but in general, if you are prepared for a circumstance, you are more likely able to serve others in that circumstance yourself. Staying healthy keeps you out of the health care system, keeps others from having to look after you and enables you to live longer, set a good example and be able to serve others. If you can’t look after yourself, how can you possibly serve others as easily? Serving others tends to take a second place in life for many of us from all the other things we have going on. We volunteer if we have time, we help a friend if we are not already doing something and we put our spiritual needs behind our career and family for the most part. Well, all our stuff and complexities tend to distract us even more and so living with less stuff and activities is an easy way to serve others as it frees our time for it and lets us put it as a priority. Complaints are toxic to other people and their moods. Most complaints are simply dwelling on the past and never really help anyone. Do others a favor and eliminate your complaints. Emails are a cause of many communication breakdowns from saying things the wrong way or sending an unintended message. This happens especially with emails that are criticizing something or negative in tone. To prevent this and to keep in mind your service to others, keep your emails positive. When you have a chance to communicate in person over email, voice mail and even the telephone, take it. You can always communicate more easily in person than other methods. Another way to serve others is to ask for help when its needed. People do generally want to help when they can and asking for help is a sure way to give them that opportunity. Taking on work yourself often leads to frustration and bitterness which can have long term effects that affect your ability to serve. Sharing skills, advice and a helping help is a great way to serve others, on both sides. You are created with your own set of unique talents and when you discover what they are you should use them. Talents are wonderful to show with applied skill and are very inspiring to others. Your talents are always the areas you will have the most impact in and if you use your talents, you have the greatest ability to serve others. I’ve had to learn this one the hard way and am realizing how effective applying patience is in serving others. While I used to get very frustrated and impatient with others, I’ve felt that God has been testing me to learn to have patience and has opened my eyes to see how it is best for others when patience is practiced. I have learned the value in it now and truly believe that patience is a powerful way to serve others. Our forests, our planet, our resources, it’s all a hot topic globally now and for good reason. We are destroying what everyone deserves to enjoy and a small portion of the humans are destroying the largest percentage. It’s a shame and the only way to combat it is to serve others by protecting the forests, the resources and our planet as a whole. Holding a grudge will get you nowhere. Forgiveness as hard as it is, is the best way to serve others. It’s the key to Jesus’ message and if we can live like Him, we are serving others by doing do. Have you ever chipped in a few coins to cover someone’s bill at the grocery store? How about the money a friend borrowed and has never paid back yet? Cancel the debt and simply give it to them with no expectation of repaying the debt. If someone owes you something, don’t hold it over them, simply cancel and forget the debt and hold onto the relationship instead of the money attached. 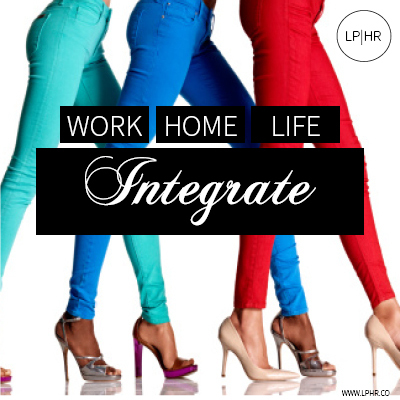 Unimportant things distract us constantly from our lives, in our work, our families and in our relationships. The debt mentioned above could one of these things and it prevents us from realizing and experiencing what actually matters. If you want others around you to experience the best memories and relationships with you that is possible, avoid the unimportant and start doing, saying and acting on the important things in your life. I know that this one may be somewhat a personal preference but as a very animated and enthusiastic person myself, I’ve heard countless times how my energy and enthusiasm is such a great presence and character trait. I see the same in others and so I definitely believe that enthusiasm builds positive energy in others and that can only serve them by influence and perhaps, by being contagious. This is a huge need for trauma care and a very selfless act that is truly done to serve others and provide a critical need. Positive dialogue fits into a few other items here as well but this is specifically in how you talk and what you talk about. If you focus on the positives in your life and words you say, you will make a positive impact on others as well. Positive dialogue includes discussions, your comments, feedback, hopes, dreams, aspirations and stories that are uplifting and positive in nature. This is an easy one to do but unfortunately the word, “chores” has such negative thoughts associated with it for most people we avoid it. If that is the case for others as well, would you not say then that to serve them well would be to do some of their household chores? Giving is a great way to serve others. Make it an even better service by leaving a mystery by giving anonymously. If you are serving them, you don’t need the recognition and certainly don’t need the receiver to feel any obligation. The best gifts are the ones received in gratitude and anonymous gifts are easier to be grateful for than one that is connected elsewhere in our lives, so give anonymously. Tips are an easy way to serve others in return for what they have done for you. If you want to make a stronger impact, then write a note or message with a tip to leave a specific compliment. Perhaps at a restaurant you could ask to speak to the manager and tell them about the great service you received from a specific server. The restaurant manager will be happy to hear this and the server will likely gain other benefits, far more than just your added tip. Living in Calgary, while it isn’t a huge city, its much bigger than the small town I grew up in and it is odd how seldom people say hello. I hate that about the city and I’m doing my part to change it. You can too by greeting strangers, smiling in public and by simply saying hello to people as often as you can around the city. I ride my bike to work and love the bike paths I ride along as I often pass by people and have a chance to spread a smile and a hello. Most often it brings a smile in return and isn’t that a great way to serve? I think so. Being a person who can be trusted to do what you say is an important way to serve others. Breaking a promise kills trust and takes much longer to rebuild. If you want to serve others, you need to keep your word to them and be honest when you know you can’t keep your promise as early as possible or ideally, before you make it in the first place. Love is the most powerful thing in this world. It provides us all with an ability to drive through incredibly painful circumstances. It brings about hope and joy that can overcome any amount of suffering and it sets an example for service to others and to God like nothing else. Love is a gift we all have the option to experience by God’s grace, it is offered to each and every one of us. Experience that, make love a focus in your own life and use it to drive your life to serve others. Finally, my last in this list of 100 ways to serve is to open your mind and heart to God, to listen and then ultimately to act upon his calling in a way He wants you to serve. I’ve continued to be inspired by people’s 100 lists and you’ve probably seen many that I’ve highlighted in recent resource lists. Dragos wrote one that triggered me to write another with his excellent post on 100 tips to write huge lists. This list is on my favorite subject and while the length of these lists makes them quite a challenge to make, this particular subject is one I’ve spent a lot of time thinking about and writing goals in so its a great topic for me to tackle in a list. The items were actually fairly easy to come up for me without any research or added web surfing, but the real effort was then in putting a short description or example for each. Anyway, I’m thrilled to have this list completed and can’t wait to experience and see the results of personally doing every single one on the list. That is the challenge I made for myself and I hope you challenge yourself with some or all of these items as well. This is also my largest single article ever and was awesome to create! I hope you enjoy it as much as I did writing it. I’d love if you could help to share it as well, thanks. are two of the most powerful human needs. Happiness doesn’t come from wealth or money, but instead from social relationships, enjoyable work, a sense that life has meaning and a sense of belonging to a group. Think of ways to acknowledge or validate people and build plans to grow communities. Some successful community programs include multilayer recognition strategies. Companies can create and contribute to a quarterly newsletter that reiterates boundary spanning practices and communications. Here is always a good place to recognize achievements, announce upcoming events, celebrate business or department “wins”, share relevant industry news, list birthdays and anniversaries of your employees , or talk about recent progress initiatives in a new community enrichment program as a way of encouraging individuals across business locations to get involved.